Over the past 24 issues, we’ve only run a handful of pieces focused on television shows (three, to be exact). 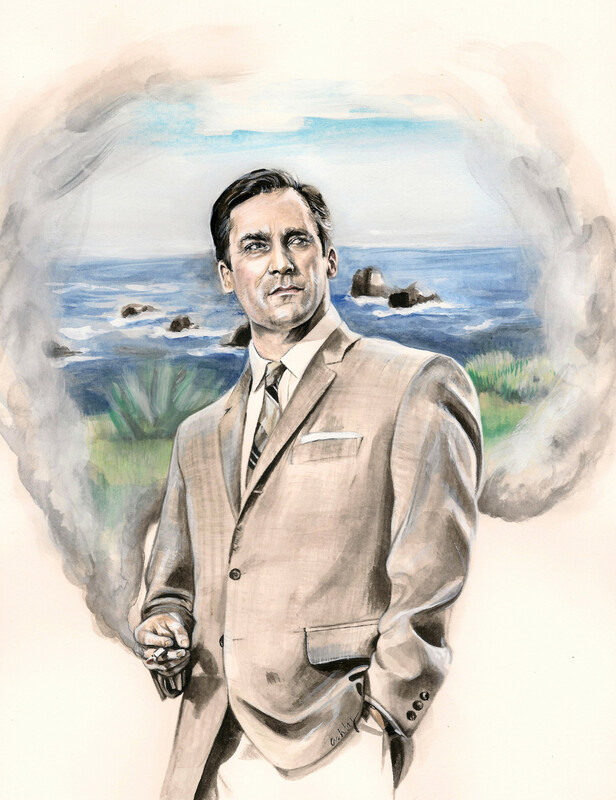 But in this week’s very special Mad Men issue, we’re turning the tables—devoting all of our pages to the small screen, focusing on a single show that, over the course of its seven seasons, has proven itself to be one of the most intelligent, layered, compelling, and engaging stories ever told, on any screen. With its rich storytelling, carefully composed shots and cinematography, impeccable costuming, art direction, and sense of style, Mad Men has often seemed cinematic in nature, which is a large part of the reason we started covering it weekly on our old site in 2014. Bright Wall/Dark Room is many things, but it has never been a “recap” site. 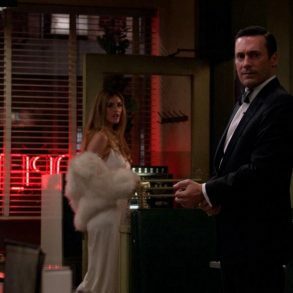 But for Mad Men, we briefly—and happily—became one. That’s not the only thing that distinguishes this issue from all the others we’ve put out, though. It’s also much different structurally. 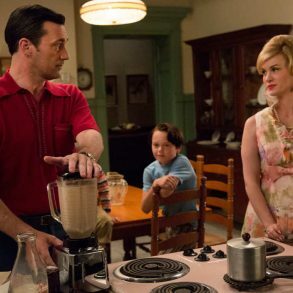 In the run up to the final seven episodes of Mad Men, we asked Erika Schmidt—a long time contributor, award-winning writer, and passionate Mad Men fan—if she would write an essay after each new episode aired. The work she turned in each week was so strong and engaging that we decided early on to gather all of her pieces up into a single issue once the show concluded. Her seven essays, the most recent of which she turned in just yesterday, form the backbone of the issue you’re about to read, moving chronologically from the first episode (“Severance”) that aired on April 5th through the series finale (“Person to Person”) that concluded the show’s run last Sunday. Erika’s writing is truly a delight to read, a mix of the personal and critical, a writer’s sharp eye paired with a true fan’s deep love and affection for the show and its characters. 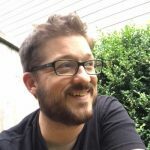 In addition, the editorial staff decided that I should reach out to a few other fans of the show, and gather up some of their thoughts and reflections around the series in general, favorite moments and characters, the divisive series finale, and what the show has meant to them on a personal level. I quickly thought of two of my favorite critics, Matt Zoller Seitz (whose weekly recaps over at Vulture have been the high water mark for most of us interested in reading about Mad Men these past several years) and Alissa Wilkinson, another enormously insightful writer, critic, and professor, who has spent a whole lot of time thinking about Mad Men lately. Then, I turned the tables on the editorial team, interviewing two of them (Senior Editor Kara VanderBijl and Art Director Brianna Ashby) about the show, which both consider their favorite. Those four interviews comprise the rest of the issue, woven in and around Erika’s weekly episode recaps. Erika, Brianna, and Kara will also be featured on the next episode of our podcast, discussing Mad Men at length. And finally, this issue is also a bit of an experiment — the first entirely free issue we’ve released since our debut issue back in June 2013. It’s entirely open and available, even to those of you who don’t yet subscribe. We hope you’ll take this as an invitation to look at what we’ve been up to lately, and consider joining the conversation. Next How Could It Not Know What It Is?